Ships in 2 days! These legs measure 30" x 12", a standard size sofa tables or console tables. 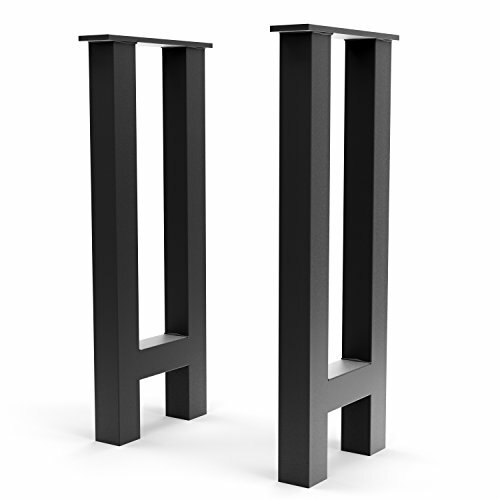 Made with 2.5" square pipe steel these legs offer a stable support for any table up to 200lbs. Key features: 1 - Includes rubber floor gliders 2 - Includes screws 3 - Powder coated to a matt black color for extra protection 4 - Individually wrapped and packaged 5 - Ready to Ship! If you have any questions about this product by UMBUZÖ, contact us by completing and submitting the form below. If you are looking for a specif part number, please include it with your message.